I recently wrote about social gaming company Zynga and their upcoming IPO. While Zynga is a company I believe has impressive upside potential, I cant say the same for another brand new internet IPO. Just this past Friday, online deal site Groupon (GRPN) hit the public markets. And like other hotly anticipated tech IPOs this year, investors couldnt get enough of the newly issued shares. In fact, the share price climbed 31% on the first day of trading. As of this writing, the roughly $26 share price means the market is valuing the company at a whopping $16.7 billion. You see, Groupon – although an immensely popular service – has been plagued by problems during the IPO process. But first, in case you arent familiar with Groupon, the company offers discounted gift certificates online, usable at local and national businesses. 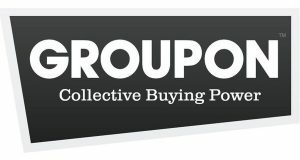 Groupon uses a deal-of-the-day model to build brand loyalty and quickly move surplus inventory. We originally brought this company to your attention in an article we wrote back in July. GRPN has dealt with multiple accounting issues and was forced to restate earnings several times. Several executives have already jumped ship. And worst of all, sales growth appears to be slowing. Investors have been shying away from riskier investments. So, with so many red flags, why did the stock skyrocket? Believe it or not, the shares soared due mostly to tricks by investment bankers. You see, the bankers behind Groupons IPO decided to offer just 5% of the companys shares to the public. Thats one of the smallest floats ever for a tech company in the modern era of IPOs. The reasoning behind the small offering was to ensure a strong first day of trading. Its easy enough to drum up buyers when so few shares are available. Similar strategies were used for LinkedIn (LNKD) and Pandora (P), two other recent internet company IPOs. But strong opening days dont tell you a thing about how good a company is. And in Groupons case, the unprofitable company still has a long way to go before Id consider investing in the shares. At the very least, Id like to see revenue growth. I dont think its asking too much for a company with such a huge sales force and widespread brand recognition. but the industry has a ton of potential. Online deal sites are a great way to stoke demand, especially when the economy is sluggish. There are several companies entering the online deal business  and some of them are penny stocks. With other options available in the industry, Id avoid Groupon and look for a solid penny stock company instead. I invested in sprint like you guys told me. I just started trading so i really dont know what I’m doing. Do you guys think that sprint will go up? I recenly sold my shares in vonage holdings corporation for 5 dollars. I bought the shares in 2009 for 37 cents. 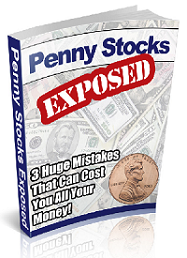 This was a exception to the general rule most of the stocks trading under 1 dollar are not good investments. The way that you find low priced stocks under a dollar that are worthy investments is to have as much knowledge and experience as possible about these type of securities. Only than can you profit tremendously from these stocks.